When you own a home or business, it can be easy to forget the roof! It’s out-of-sight-out and therefore out-of-mind most of the time, which isn’t a problem until the roof begins to have troubles. The last thing you want is to discover an issue after it’s developed to a point where it needs extensive work. It’s not only inconvenient, it’s expensive. The good news is, your roof will give you signs that it’s time to call a professional. In our last blog, we discussed two signs, and today, we have two more for you to watch for! We’re starting out with the dramatic one today! If you see your roof sagging, you’re facing a serious situation. Roofs only sag when the underlying structure is having troubles. When we say “underlying structure,” that includes everything from the roof decking to your home’s foundation. It could be anything. Call a professional before the sag gets worse so the problem can be addressed permanently! 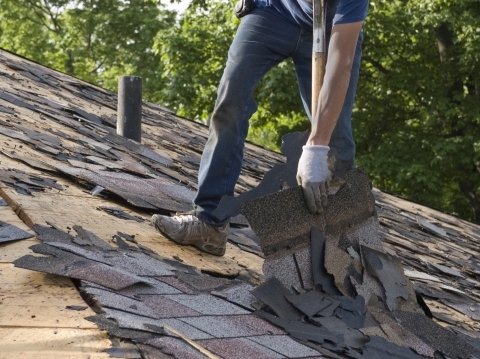 Chances are good that you have an asphalt shingle roof. These roofs last between 20 and 30 years. If your roof is 35 to 40 years old, it doesn’t matter if it looks fine; there is a very good chance that something is going wrong. Get your roof checked and be ready to replace it. Here’s a helpful hint: if everyone in your development is starting to replace their roofs, you probably need to replace yours, too. At Tim Leeper Roofing, we believe your roof should always be a source of peace and security. Contact us today for the best roofing services in Tennessee!